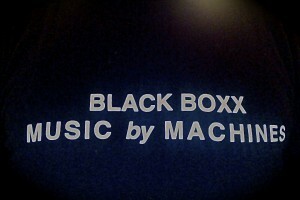 A total of 6 ‘Black Boxx’ 12″ vinyl releases counting up from 1 to 3 and then back down from 3 to 1. All EPs in the series with the same art, the distinguishing factor being that ‘Black Boxx’ Eps counting down (3 to 1) would feature all art and text backwards. One of the major problems I’m seeing is that (for obvious reasons) sometimes the people who are purchasing the ‘Black Boxx’ Eps think that they have already purchased, for example, ‘Black Boxx EP3’ so they become unaware that there is a second ‘Black Boxx Ep3’ with the art and text backwards and that it is in fact, an entirely different release containing completely different music. I would like to apologise to the supporters of Ferrispark for not thinking this through properly and for any confusion it may have caused. Thank you always for your continued support. This entry was posted in News, releases on June 18, 2014 by admin. This entry was posted in gigs, News, Video and tagged AKAI, ASR, black, boxx. ferris, Detroit, Ensoniq, ferguson, Ferrispark, house, Jit, Juke, live, MPC, park, scott, Techno, XOXBOX on May 28, 2014 by admin. This entry was posted in gigs, News and tagged club, dj, ferguson, france, house, paris, rex, scott, set, Techno on May 11, 2014 by admin. This entry was posted in gigs, News on March 18, 2014 by admin. Marvin Belton’s ‘Love Will Find A Way’ will get a small repress that will hit stores in early February 2014. This entry was posted in News, releases on February 3, 2014 by admin. This entry was posted in News, releases and tagged 041, deep, Detroit, ferguson, ferris, Ferrispark, FPR, house, JBSF, JITTERBUG, park, Techno on January 26, 2014 by admin. SNTWN Podcast 056 – Scott Ferguson – 01/2014 ***WARNING! STRONG LANGUAGE! This entry was posted in DJ sets, News and tagged Booty, Chicago, Dance, Detroit, dj, ferguson, Ghetto Tech, Jit, Juke, Mania, mix, scott on January 12, 2014 by admin. This entry was posted in gigs, News on January 12, 2014 by admin. This entry was posted in DJ sets, News on September 7, 2013 by admin. This entry was posted in gigs, News on September 6, 2013 by admin.